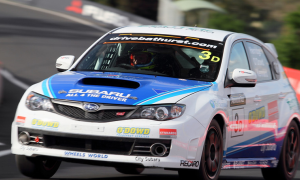 The Maximum Motorsport Subaru WRX STI is set to return to Mt Panorama for the 2012 Armor All Bathurst 12 Hour. 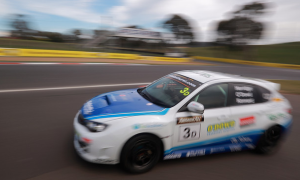 This year’s ’12 Hour’ is set to be bigger and tougher than ever, attracting more international entries keen to beat the locals at Australia’s spiritual home of motorsport. “But early into the race a problem developed within the racing fuel cell fitted specially for the event. The car was dropping fuel pressure. Once we worked out where the problem was, and that we couldn’t fix it on the run, all we could do was rig up a temporary fuel pick-up system and use the race to give our drivers experience. I think we won the award for ‘most use of the pit lane’!”. 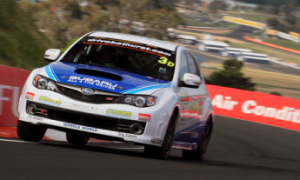 For 2012 Maximum returns with the same Subaru 2.5L WRX STI, the same driver line-up (Dean, John O’Dowd and Angus Kennard), but a lot more experience. “I think the lessons learned in 2011 will hold us in good stead for this year’s race. It will be our first event for the year, and we’re all really keen for a successful, trouble free weekend”. The Bathurst 12 Hour is held over the weekend of February 24-26. Spectator and ticketing details can be found at bathurst12hour.com.au, and the final 90 minutes of the event will be televised live on Speed Australia at approximately 4:45pm on Sunday, February 26th. And head over to www.maximummotorsport.com.au/videos to check out Maximum’s 2011 Bathurst experience. This entry was posted on Thursday, January 12th, 2012 at 10:16 pm.